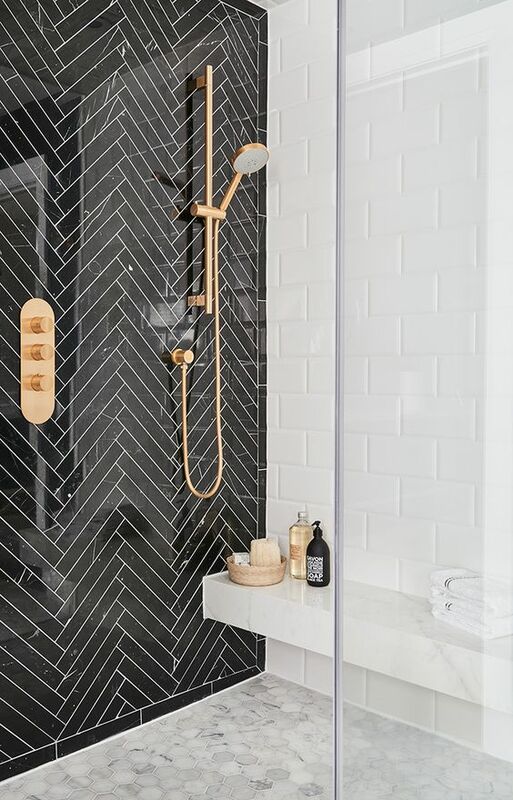 Make your bathroom really glam and pair black and white tiles with golden elements. 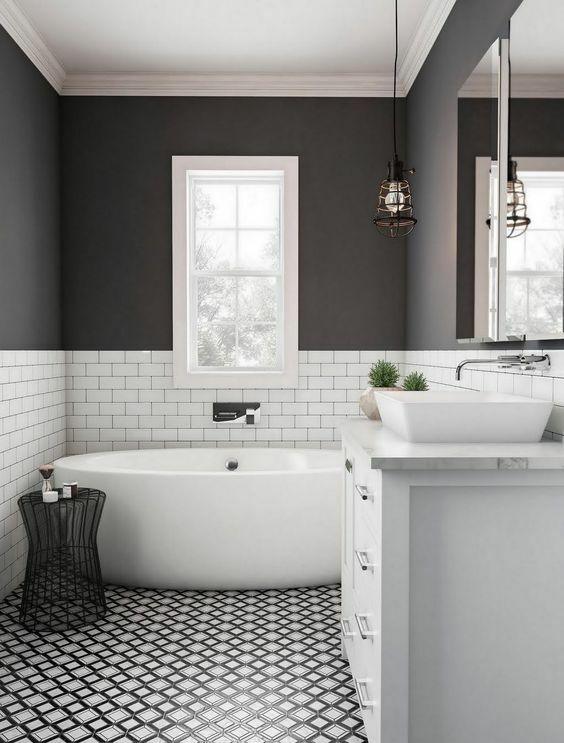 Everything will look just fabulous with this color scheme so you can emphasize the fancy vibe by adding retro deco items and picking gorgeous bottles for your bathroom products. 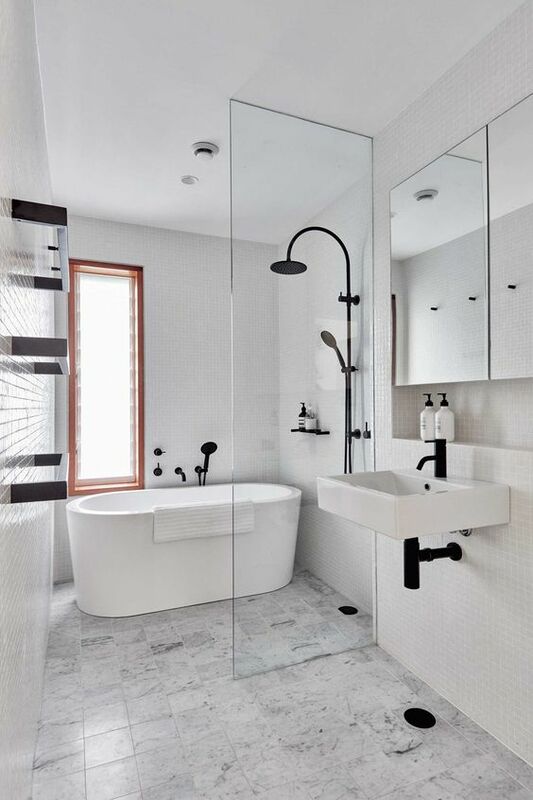 Black steel is a very popular material this years and it can look really cool in your bathroom and shower cabin, especially if you pair it with white. 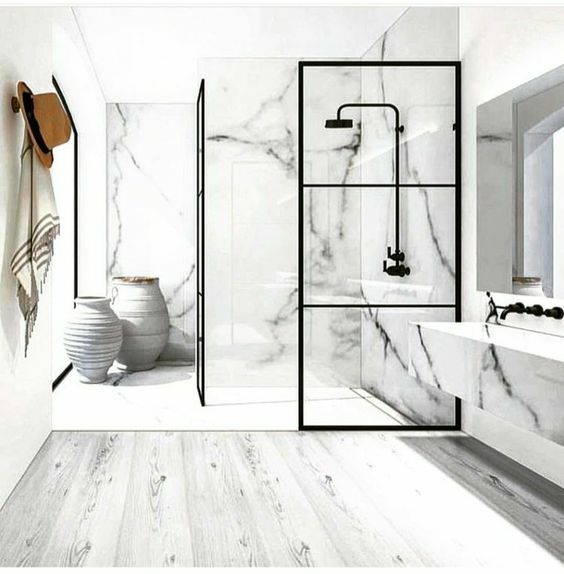 Also, add only black and white deco items and bathroom products in the room to make it look super chic! 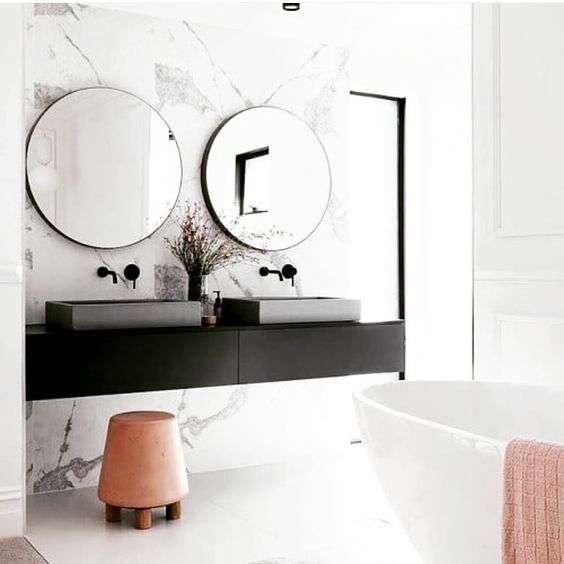 For a calm and feminine vibe in your dreamy bathroom, pair the power black and white combo with a touch of pink. Add a pink furry chair, pink towels or pink paintings and make this space looking like a gorgeous SPA. This season the geometrical tiles with a 3D effect are the coolest you can pick! 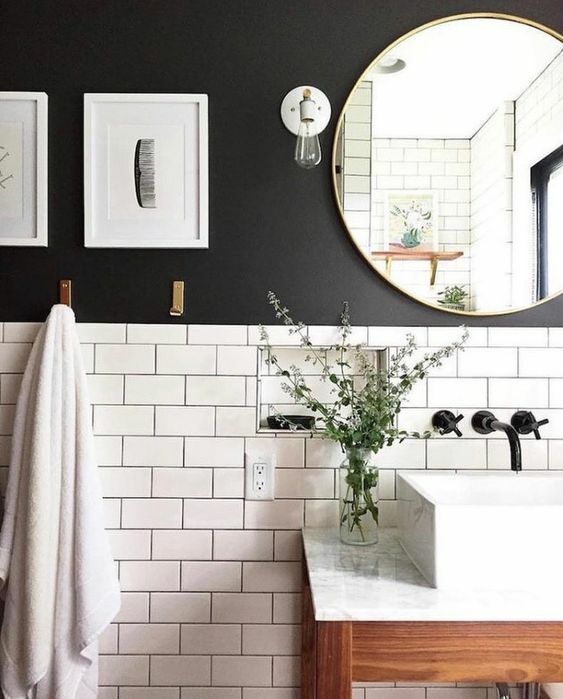 Also, they work wonders is a black and white bathroom where they can really shine and be the star of this space. Moreover, make this space more chic by adding tiny green plants and cool small chairs or tables. 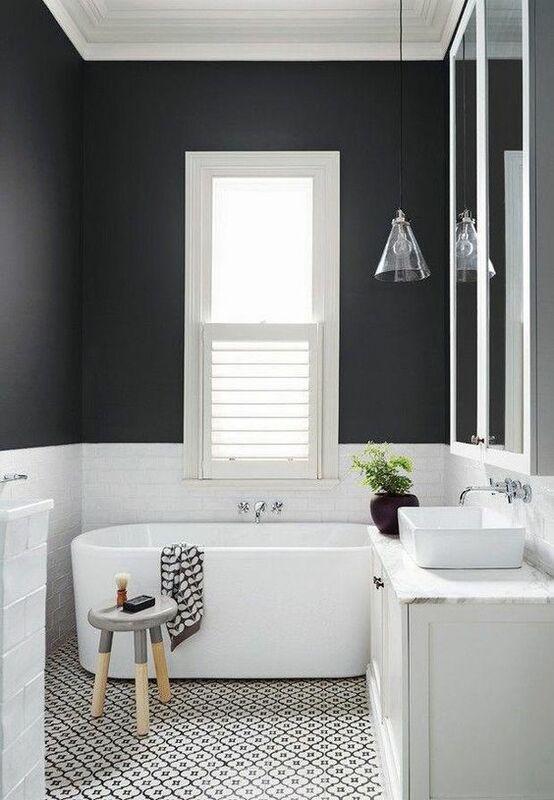 Give a fabulous contrast in this calm space by painting a wall in black and decorate the rest of the room in white. Choose white walls or make a dreamy wall out of white subway tiles. Frame cool black and white pictures and add seasonal flowers in this lovely interior.